●.Chinese chess tournament will be on 23 April while international chess is on 24 April. ●.Certificates will be provided for all participants. Sira will also be provided for Universiti Utara Malaysia Student. Medals and cash prizes await the champions. 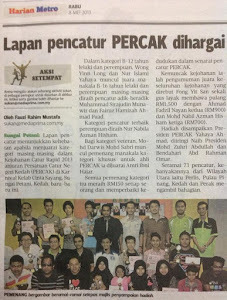 ●.The participation fees for the tournament is RM 18. Each tournament is only limited to 100 participants. 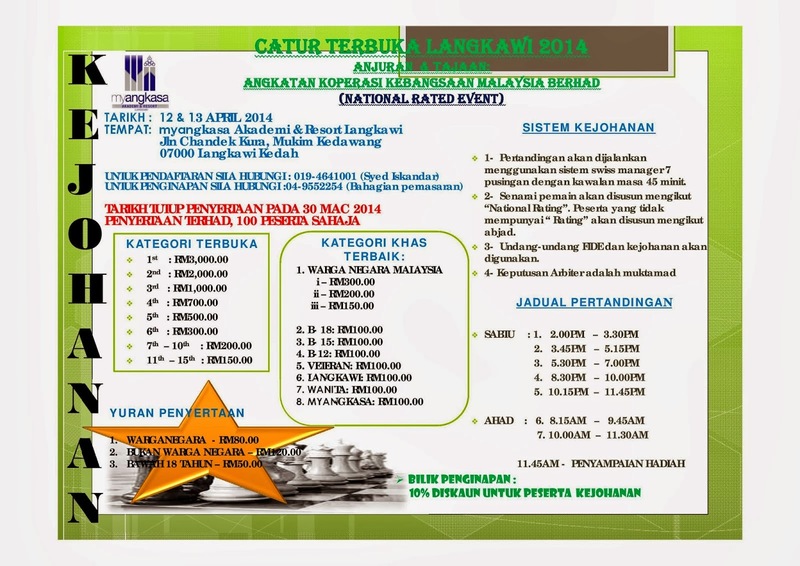 ●.Accommodations will be provided for a fee of RM 7 per head per night. 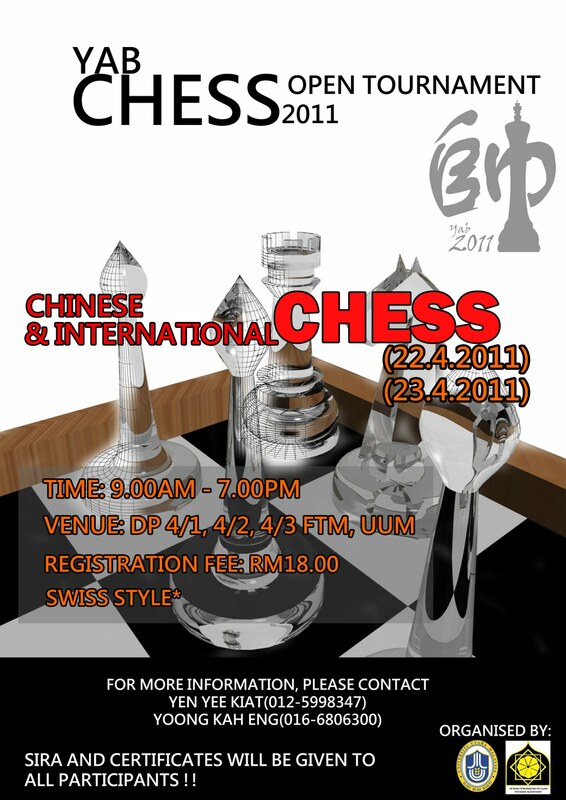 ●.Please bank-in the registration fees to our treasurer’s CIMB Bank account (0713-0080212-52-0 SOON CHIA YIN) by 19th April 2010. Please keep the bank-in slip as proof of payment. After bank-in, please contact Miss Neoh Shi Ling for verification purpose.